How long a baby might be captivated and play with a brand new toy is certainly one of mom and dad’s first questions and considerations when shopping for baby toys or kid’s toys. No one wants to see the traditional cliché of forking out lots of money on a toy only to discover the kid playing inside the box it came in! One more major factor however, one that many parents do not take into consideration, is the positive effects a toy might have on the development and growth of the baby. So, what kind of toys should you choose for your baby? Classic, old-fashioned traditional toys or a modern electronic toys? Kids grow in a wide range of areas these are; cognitive (physically), and social (via interaction with different kids and adults). A nicely designed kid’s toy can, in addition to being nice and fun to play with, help to trigger development and growth in a few of these areas. So whenever you go to the toy store or shop online at a store like Baby Cures, are there any easy do’s and dont’s we need to be considering when choosing that important baby toy purchase? To begin, and somewhat controversially, you might want to steer clear of the brand new wave of baby electronic toys and computer run educational toys out there. 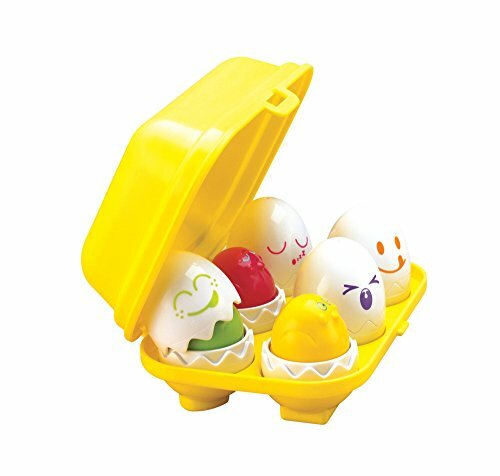 These toys are goal oriented, which means your baby is not learning at optimum levels to think creatively or explore their world with their playtime, and thus their cognitive development is not stimulated. Toys that coax the child and thereby decrease the kid’s efforts at problem solving and cognitive processes in play doesn’t engender growth and development. This class of toy won’t give a child the chance to think creatively or uncover new ways of creative thinking. As any father or mother is aware, a baby’s imagination is limitless and it’s this natural gift a baby has, to think in another way from adults that enables a toddler to grow cognitively at such an unbelievable rate, is one that should be considered at the center of any decision to buy a toy. If the toy solely has one path and one end result, a toddler won’t learn to determine between options to work out a puzzle or challenge in a game or iOS (iPhone or iPad) app. Several studies at the university level have demonstrated that old-fashioned traditional toys are essentially the most beneficial with regard to stimulating cognitive development and growth of a child because an infant can make use of them in any variety of ways. This allows a den, nursery or living room to be anything from a home to a store, to a kitchen, to a doctor’s office or a school, even NASA’s Mission Control for the next mission into outer space to explore the heavens. Jean Piaget, a revered child physiologist, termed new methods of thinking “schemas”. Schemas are developed via the type of creative thinking we describe above. Old-fashioned, traditional toys for babies additionally out perform in the area of stimulating fine and gross motor skills too. A baby’s physical development may be divided into two major areas; gross motor skills (the growth of the large muscular tissues so we are able to run, lift and move) and the fine motor skills (these permit us to control objects with our hands with great ability and care). Traditional, conventional toys similar to sorting cages and xylophones are super fun for younger toddlers to develop hand-eye co-ordination, whereas bikes, trikes and toddler vehicles keep older kids moving as they develop their growing muscular tissues, strength and co-ordination. Lastly, it is clear that probably the most straight forward toys may be the answer for social development as well. Toys that trigger interaction, pretend play and team work are an excellent way to develop a baby’s ability to empathize, develop empathy for others, and work with others. Role play toys are superb at this effect, allowing a kid to practice unfamiliar situations in a protected environment and in addition to interact with different kids to produce more advanced make believe situations. They allow a child to act out scenarios and better comprehend the environment around them while being safe at the same time. Keep in mind the following factors before you begin your next Christmas or birthday shopping period, It’ll assist you to make age appropriate and the best choices for your baby’s next toy. Can the toy be used in a variety of different ways? Is this toy merely a flash in the pan and a fad or will it remain a part of your child’s life for years to come. Can the toy provide increasing levels of problem solving challenges so it can grow with the kid’s experiences and play abilities? Would this toy be durable, safe, fascinating, fun, and certified for that child’s age? Can a child, baby, infant or toddler change the purpose of the toy and use it with their imagination to shape a playtime experience? Verify whether or not the toy is appropriate for use with different children, allowing interpersonal socialization opportunities. Regardless of how fancy it might appear with all of the bells and whistles of a modern electronic toy or how expertly marketed or packaged it is, the robotic dinosaur, Robo-Dino, will never provide your baby the experience that the plain and simple pull toy provides. The dog pull classic, old-fashioned traditional toy will nonetheless be taking walks while the batteries are drained and empty on the Robo-Dino toy. 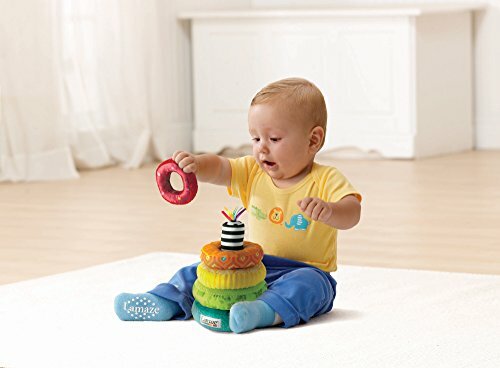 It is our hope that these suggestions above make it easier to choose a classic, old-fashioned traditional toy when it comes to your next choice at the toy store for the benefit of your baby’s growth and development with fine and gross motor skills, interpersonal relationship skills and beyond. What do you think? Is this article something you can get behind or do you have some thoughts about modern technology/electronic toys? We understand that there are merits to both sides and iPad apps can really offer challenging experiences of growth. With a balance, only your baby will benefit from the toys, apps and technology you choose to share with your child.